Designed by Beau Beckett and Jeph Stahl. 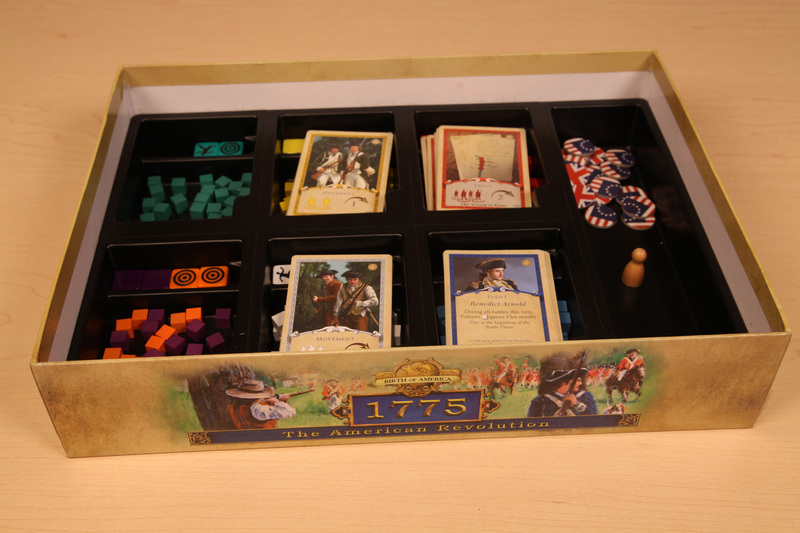 Published by Academy Games. Released in 2013. For 2-4 Players Ages 10+. Plays in 1 to 2 hours. 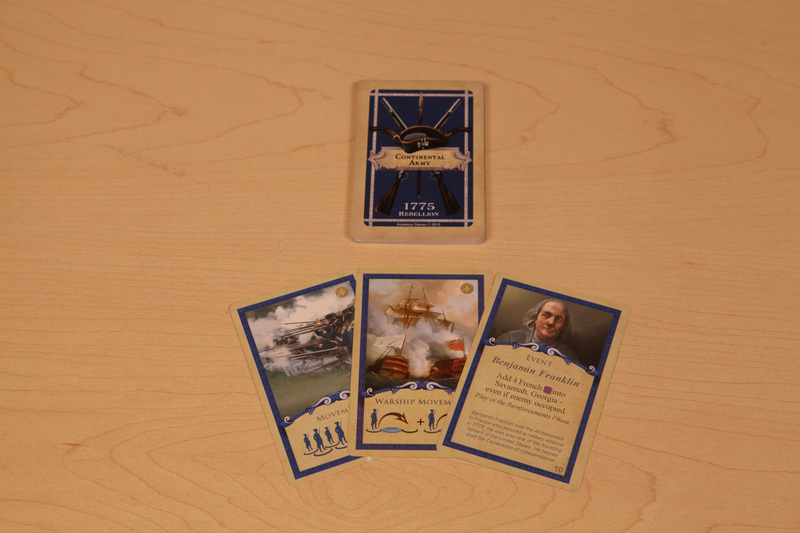 Historical wargames occupy a very shallow niche in gaming, but Academy Games' 1775 Rebellion turns that idea on its head, adding area control elements and quick play that open the genre to nearly anybody. Sure, there's attention to historical detail. Sure, there's a certain educational aspect here that's hard to ignore - actually, scratch that, it's more than welcome against the palette-swapped blandness of many fantasy games. 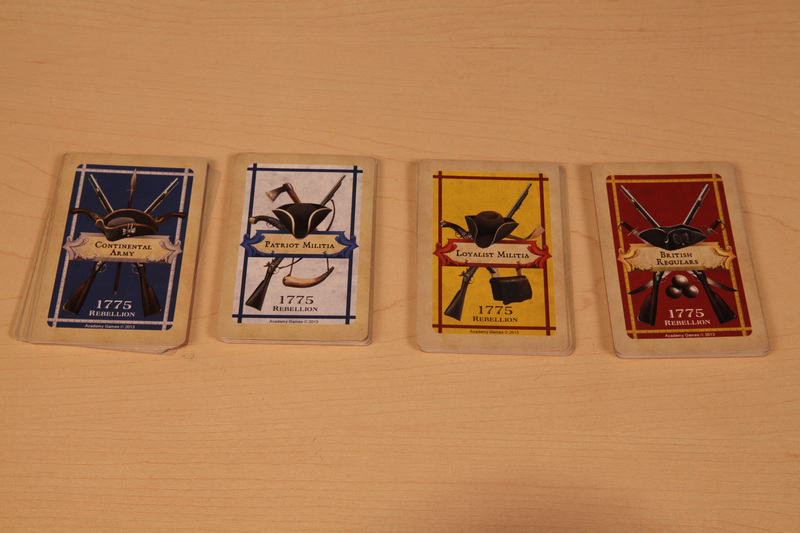 1775 Rebellion is a light wargame, it's - dare I say it - an audaciously introductory wargame. And that's one of the things that makes it good. 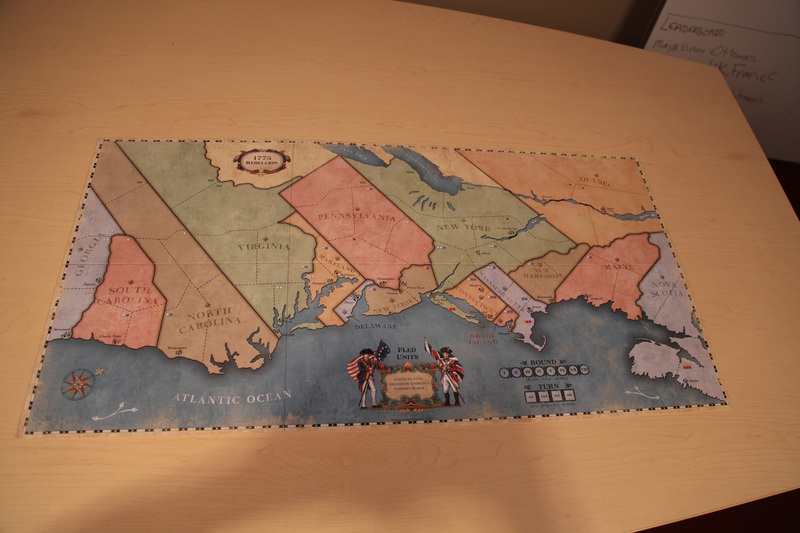 This is a game to add to that delicious pile, the rare and valuable one that you can use to get someone to stop playing Risk and start playing games designed this millennium. 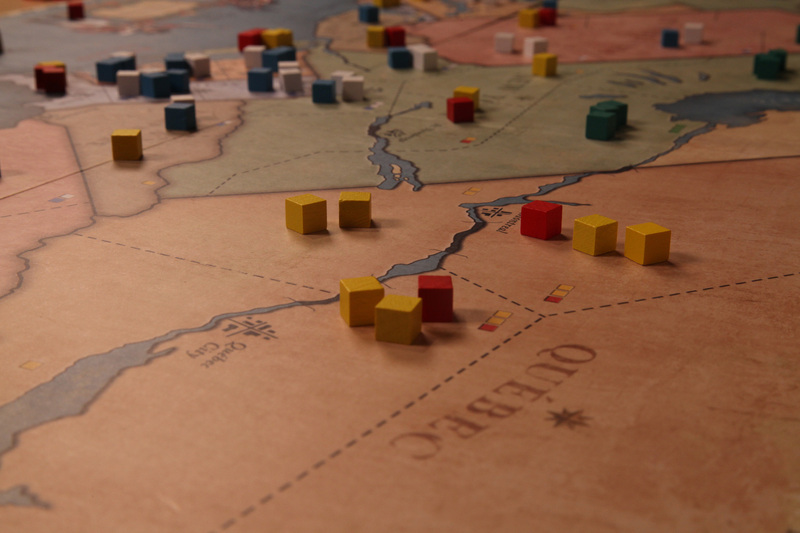 The game's basic play is all strategic concerns. 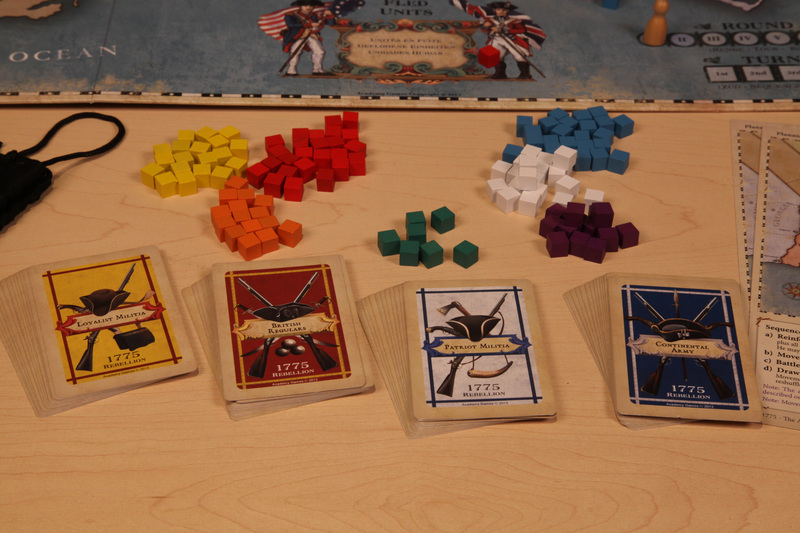 Each of the players, between two and four, controls one or more factions. 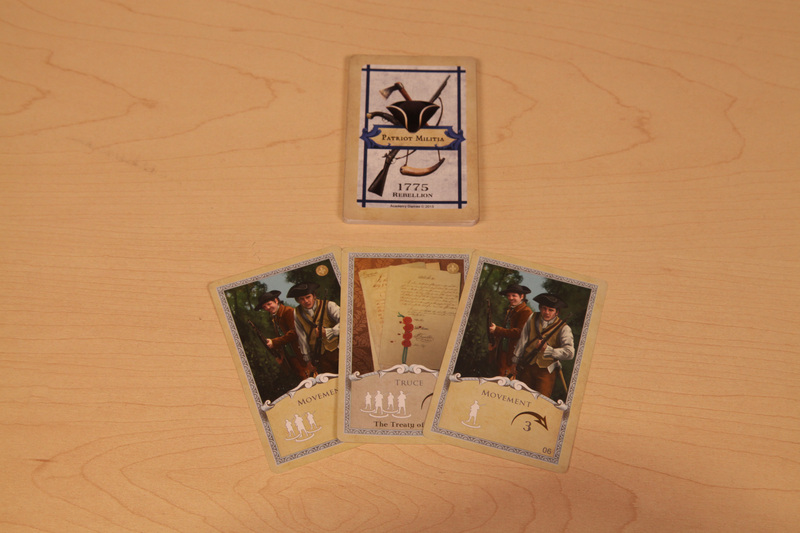 You have a limited hand of cards that show you how many armies you can move, and how far, which both cuts through the analysis paralysis inherent in strategy and makes each play unique, as different armies will be able to maneuver uniquely each time you play. 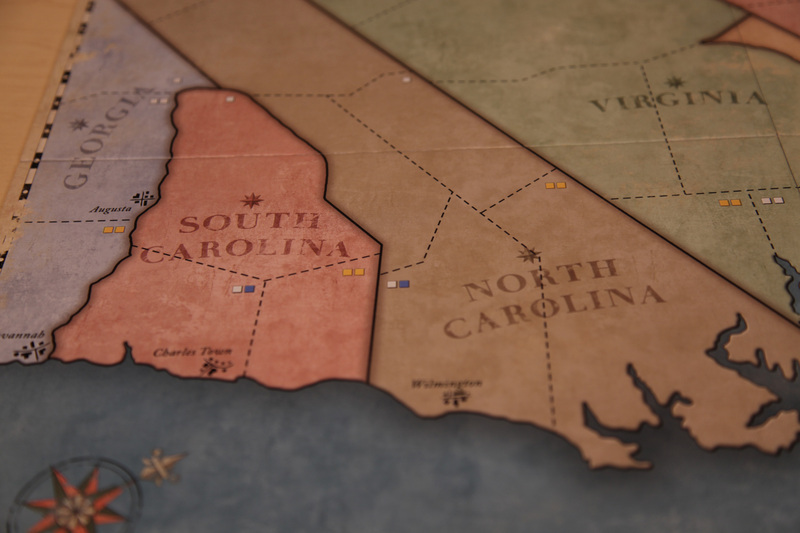 Similarly, the limited way in which you can deploy and reinforce your armies cuts out some of the problems many wargames have with speed of play, eliminating a complicated production or building phase. It's a very straightforward control scheme which keeps the game playing quickly and can be explained, along with the rest of the rules, in about ten minutes. Fighting battles, which is done when armies enter the same territories as each other, however, is entirely random. 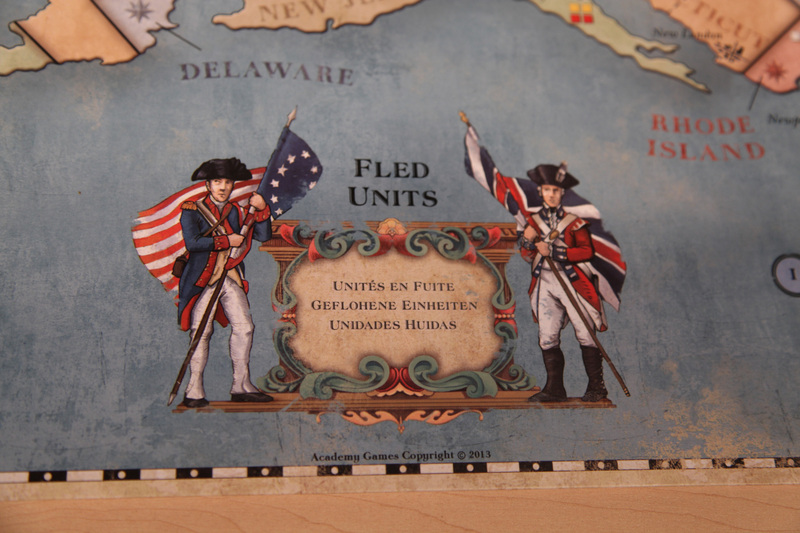 Different types of troops, such as British Regulars, Loyalist Militia, or Continental Army, have different colored and size sets of dice with different faces - Hit, Retreat, and Command Decision. 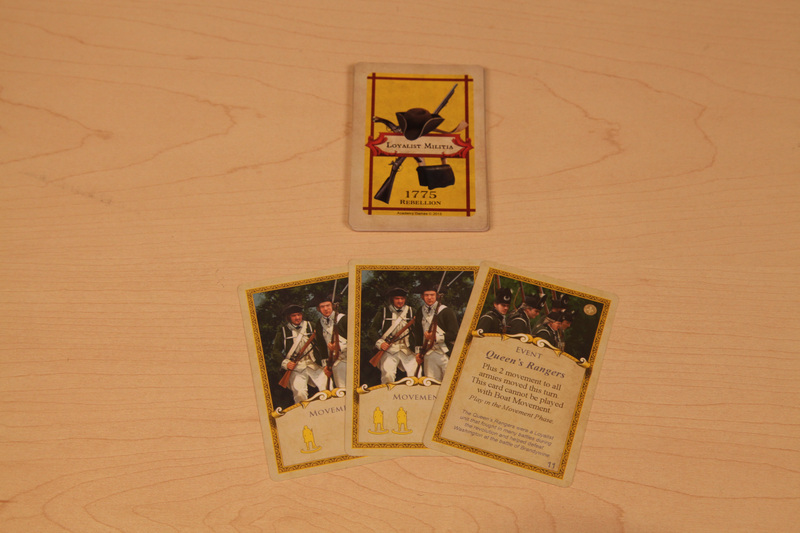 The Redcoats, for example, never flee from battle, but can only roll two dice at a time. 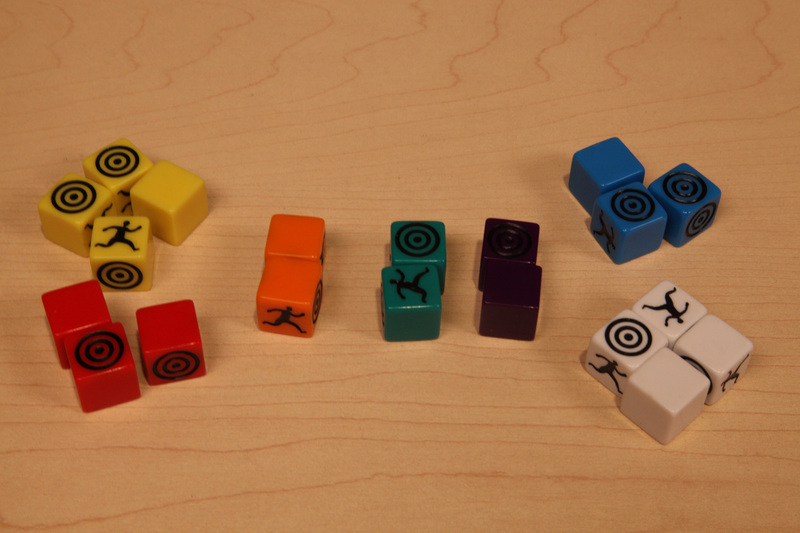 The strategy, then, becomes about keeping the maximum variety of forces available so that you can have the most dice when attacking and defending. 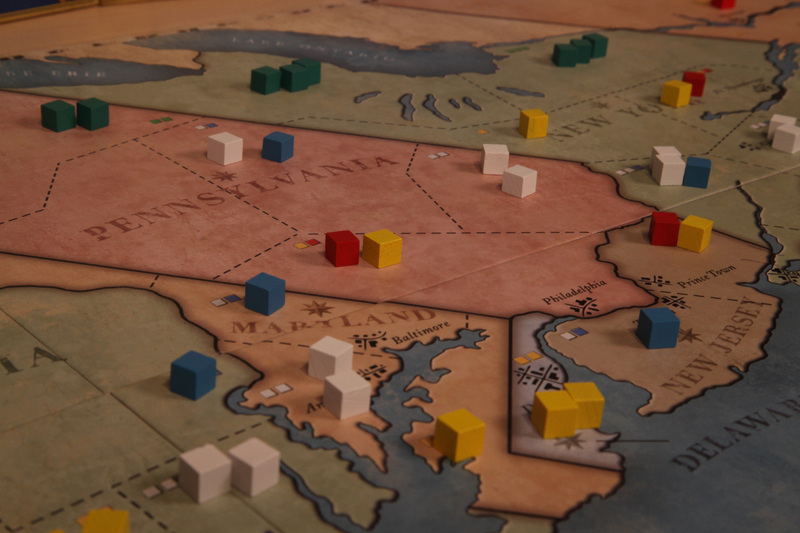 It feels like a balance between the absolute determination of games like Diplomacy and the utterly random combat of Risk. Some luck is allowed for, but really, the end result is that your choice of strategy carries the day. Nonetheless, you can simply get shut down by a series of bad rolls and lose the game no matter how well you were doing. On the other hand, the randomization can be frustrating when you realize that to truly guarantee the results of a battle you'll have to commit so many troops to it that you limit your strategic options later in the game. 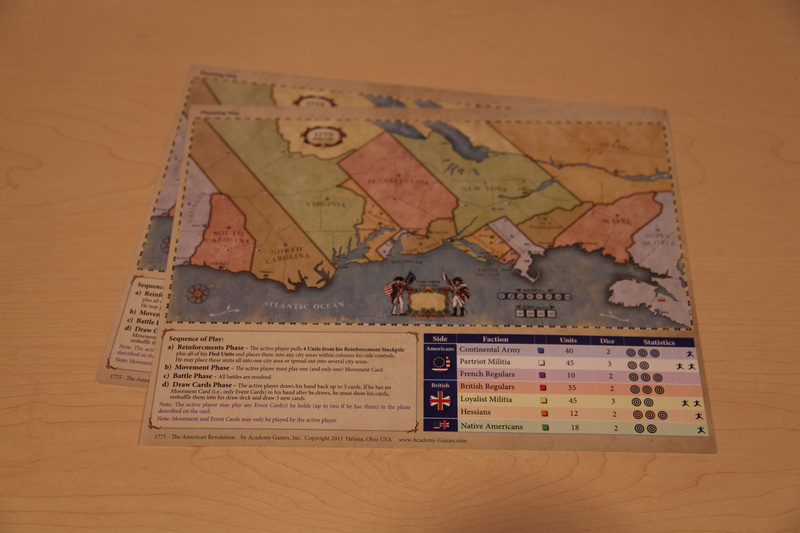 That, combined with the randomization of your hand of order cards, is what tends to decide how the game goes. If you overcommitted early and didn't manage to pull any cards to fix that by the end of the game, you can feel like you lost and there was nothing you can do to fix it. Thankfully, such experiences were rare while actually playing, especially with second and third time players. 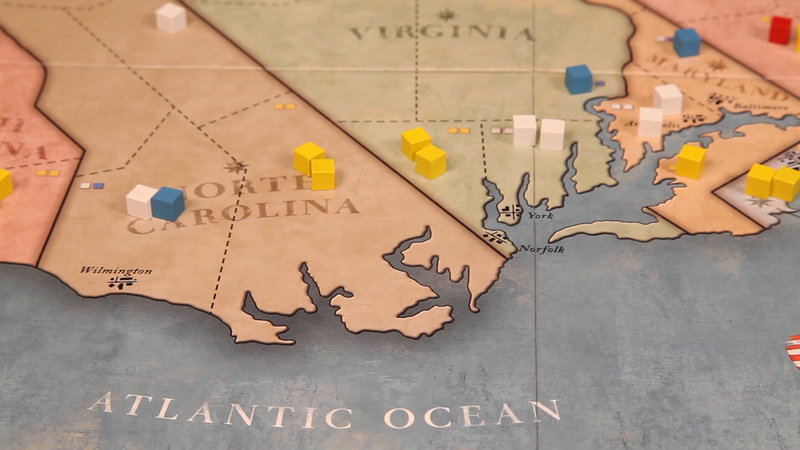 You quickly learn that it's very much a game about tradeoffs - if you want to secure New England, you're going to have to make sacrifices in the Southern Colonies. Since every faction's deck of order cards and special events is random, the game feels very asymmetric. 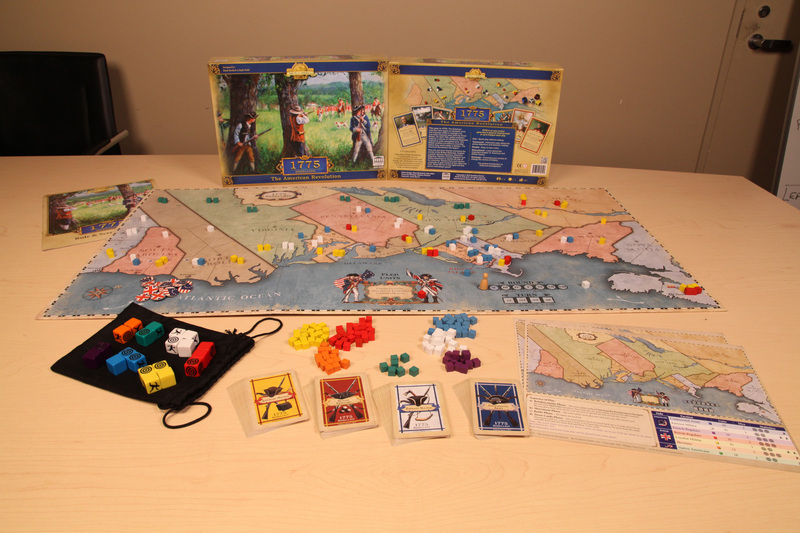 The British fight a war of defense and maneuver, while the Colonists fight one about aggressive expansion and consolidation. The British are armed with a lot of boats and allies, while the Colonists have strengths in rallying troops and massed assaults on many fronts. 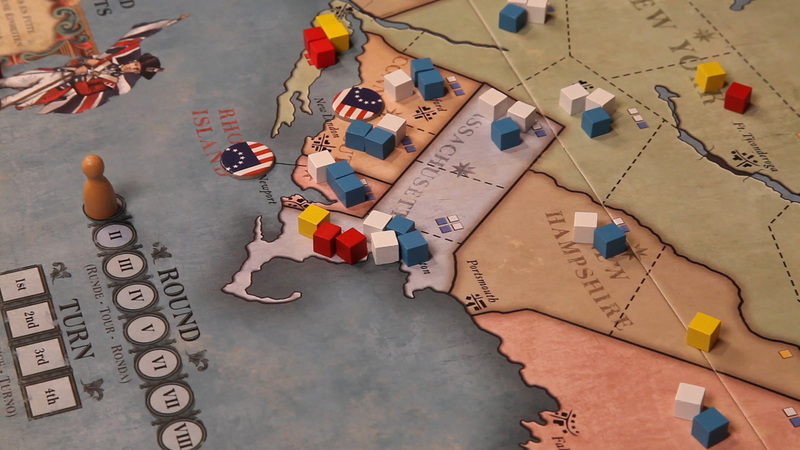 While there's a certain shallow replayability in variety, 1775 actually provides it in the way that different people tend to find different ways to play each faction. 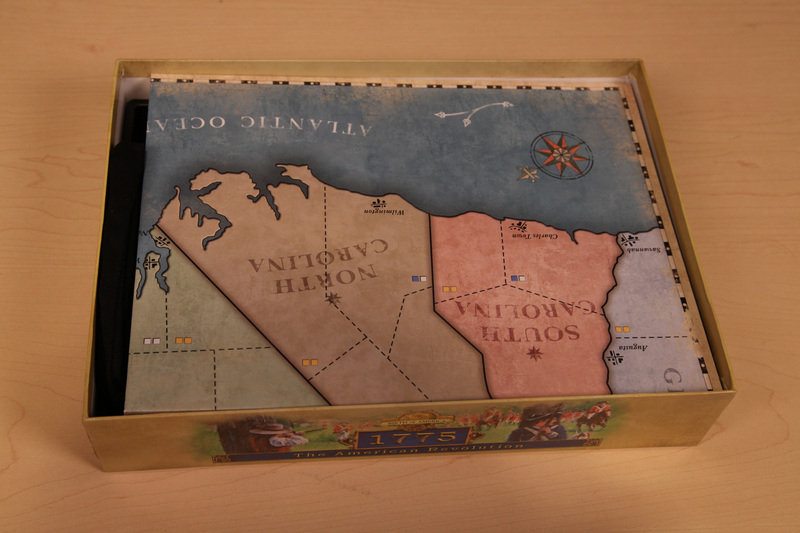 Combined with the quick playtime of about an hour and the alternate scenarios, each with their own alternate rules, there's surprisingly replayability for such a specific, scenario-focused game. For all that, though, the game doesn't do too much new or different. There's no real "Wow" mechanic or play feature that draws you deeply in. 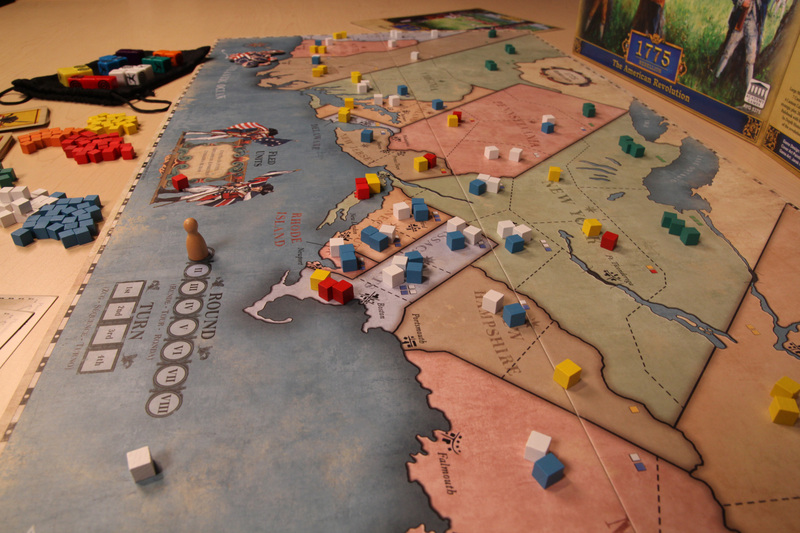 It's not mediocre, but it doesn't instantly and irrevocably draw you in the way that Academy Games' other historical titles like Freedom: The Underground Railroad do. And it's inevitable that this one will get repetitive for dedicated players, though probably long after you've gotten your money's worth out of it. 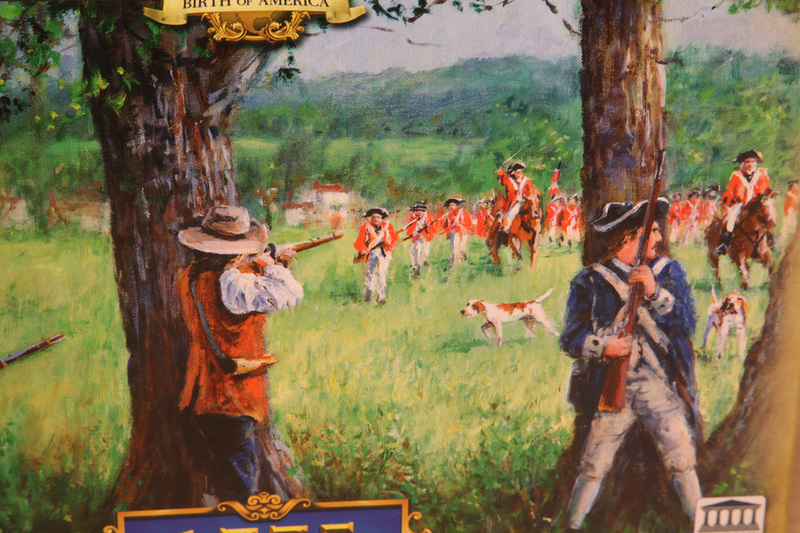 Unlike lots of wargames or strategy games, this is more a game you'd play monthly, rather than weekly. But that's probably okay - this is a great addition to a more general board gamer's collection, rather than a specialist's. 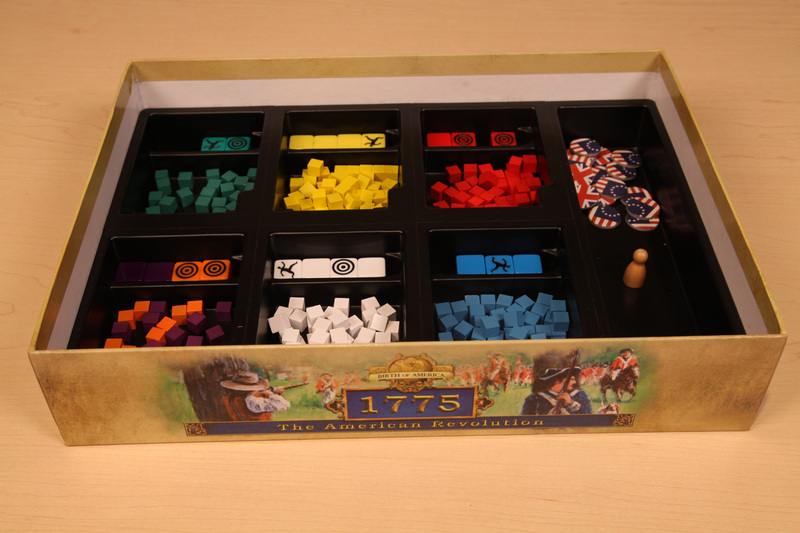 It has rich, nice components, and is easy to play. Unlike broader wargames, it fits in an hour and doesn't ask for much more. It's unassuming, and dare I say educational but there's surprising charm here. 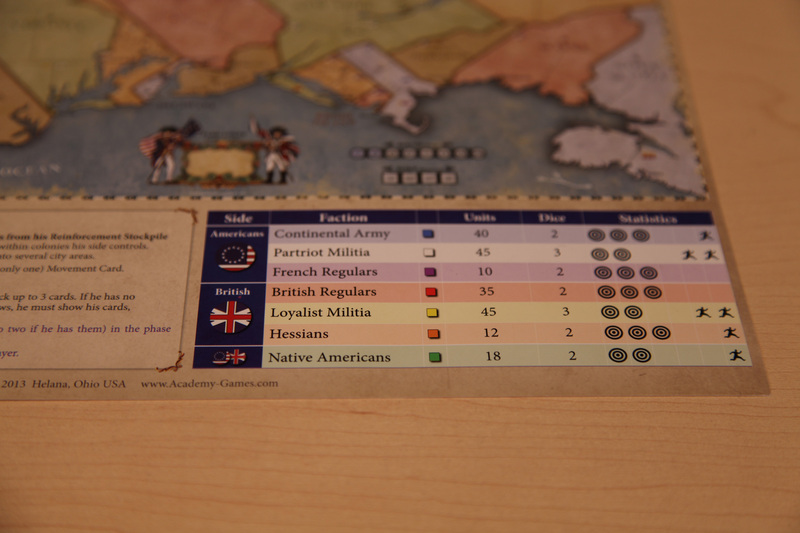 Bottom Line: While the theme and randomization might turn some off, 1775 Rebellion is the most fun I've had with a light wargame in a while. 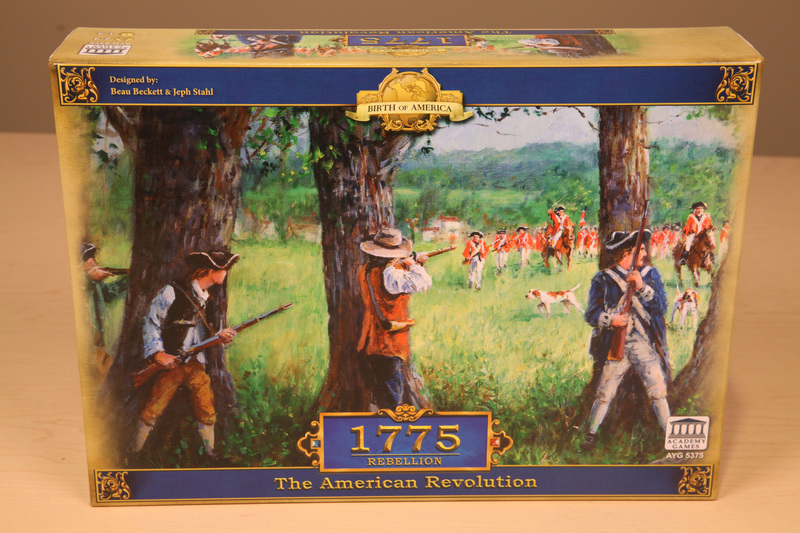 Recommendation: Casual strategists and those looking for a replacement for Risk should step up to 1775 Rebellion right away.